We are top oven repair experts in your area. Our company provides trusted repair services to households and business all over East Bay, Marin County, Oakland, and Novato as well as surrounding areas. If your oven is overcooking, undercooking or cooking unevenly, we can help. Our company does professional oven repair in Oakland, installation, and maintenance. 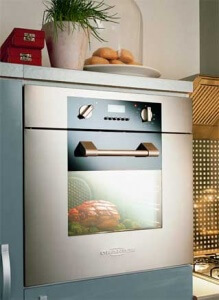 We specialize in European, high-end and standard brands of kitchen ovens as well as American brands. For example, we often work on General Electric, Bosch, Miele, Electrolux, Viking, Neff GmbH, Bertazzoni, De’Longhi, Verona, Maytag, Dacor, KitchenAid, AEG-Electrolux, Thermador, American, Range, Zanussi and much more. Our skilled oven repair Novato and oven repair in Oakland specialists are factory trained and licensed to do their job. If you are thinking about buying a new oven, you need to talk to us. We can save you money because the purchase of a new oven is much more expensive than fixing your old one. And the outcome is pretty much the same. We guarantee that after an appointment with us your oven will be as good as new. It will be clean and fully functional like the day you bought it. Top Home Appliance Repair has many years of experience in appliance repair including washer and dryer repair. We are a family owned and operated business. Our service area includes East Bay, Marin County, Oakland, and Novato as well as surrounding areas. We do both residential appliance repair as well as commercial appliance repair. That includes commercial kitchen repair for any restaurant, cafeteria, careering business and much more. We repair all major home appliances such as refrigerators, dishwashers, washers, dryers, stoves and ranges, microwaves, freezers, ice makers, barbecues, pizza ovens, steam ovens, patio heaters and much more. Our company has many years of experience in kitchen appliance repair. We are confident that we can resolve any issue for you. We are also confident that we can make your service appointment fast and easy. Customer service is very important to us. We ensure that people who work for us are not just highly skilled but are also polite, and helpful. We repair all brands and models of home appliances. That includes Asko, Bertazonni, Bosch, Dacor, DCS, Electrolux, Fisher&Paykel, Frigidaire, GE, Jenn-Air, KitchenAid, La Cornue, LG, Liebherr, Marvel, Miele, Perlick, Samsung, Siemens, Sub-Zero, Thermador, Traulsen, True, Viking, Whirlpool, Wolf and many other brands. We are not only number one oven repair in Oakland company but also the best overall appliance repair company in East Bay as well as Marin County. So, what can you expect from an oven repair appointment? First, you give us a call or contact us via our short contact form. Then we take down as much information as possible about your oven. We want to give you an accurate estimate, and we want to make sure that our repairman comes fully prepared. Our repairman comes to your house right on time and starts diagnosing the problem. Usually, parts get worn down and need to be replaced. But don’t worry. We often carry the majority of parts with us. If some part is missing, we are more than happy to order it for you and schedule another installation appointment as soon as possible. We try our best to do everything in just one appointment because we know that your time is precious. Finally, we are done with fixing your oven. At this point, we always do a safety check on the gas line to verify that everything is perfectly safe. Safety is our number one priority. Finally, we turn over to you an entirely functional oven. It will cook and bake like new. We guarantee it! Why pick us to do oven repair for you? You can not find a more qualified company to do your oven repair in Novato and Oakland. 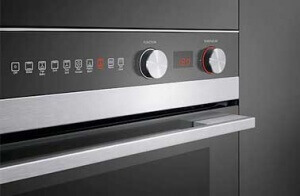 We in-depth knowledge and experience in doing oven repair on all the brands and models. Our technicians are licensed, factory trained and certified. They went through a serious process of qualifying for this, and they get updated on all the latest technology. Modern ovens are not the same oven that your parents and grandparents used. They are much more complicated and intricate. We know everything about that, and we can give you useful tips on how to keep your oven in the best shape and get best results. We will also try to save your money. Our prices are very reasonable in comparison to other repair companies. 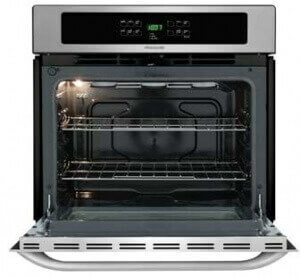 Repairing your oven with us is much cheaper than buying a new oven. And the parts we use are all high-quality parts that will last. Also, our company values excellent customer service. We will make that your repair experience is fast and easy. You will love the results! You will get a fully functional oven that has a long life ahead of it! It will cook and bake perfectly like the day you first bought it. We are number one when it comes to oven repair in Novato. For all your oven repair in Oakland and oven repair in East Bay call us at 925-265-7782. For your oven repair in Novato and oven repair in Marin County, please call us 628-214-0064. Or you can fill out our short contact form. We would love to talk to you and answer all of your questions. We serve Alameda County, Alameda, Berkley, Dublin, Hayward, Livermore, Oakland, Piedmont, Pleasanton, San Leandro, Contra Costa County, Antioch, Brentwood, Clayton, Contra Costa, Concord, Danville, Discovery Bay, East Bay, Lafayette, Oakley, Orinda, Pittsburg, San Ramon, Walnut Creek, Santa Clara County and Sunnyvale. This family owned business is great! If you need oven repair in Novato they are they are the plae to call. You can’t ask for a better more trustworthy company. They showed up when they said they would. They brought all the parts with them. So, all the repair were made in one day. And the oven works great! Also very flexible with scheduling. Great job!